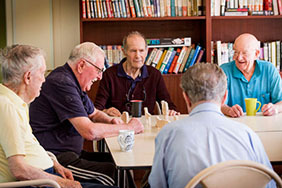 Homestyle has residential aged care homes in Melbourne and Geelong Victoria providing quality aged care facilities and services including respite and dementia specific care. Welcome to Homestyle, where residential aged care in Melbourne and Geelong is much more than just a place to be. We know that nothing can replace the feeling of your own home, however we do go out of our way to provide the best quality in homely comforts, care and support. A home away from home. Every Homestyle team member is committed to our responsibility by ensuring that their passion, experience and understanding make residents feel secure, safe, respected and cared for. We believe that each person has lived a full and rich life in their own way and we aim to continue stimulating memories whilst encouraging and watching new friendships develop. The Homestyle difference is a philosophy of holistic residential services in a homely environment of caring, compassion and respect for all residents. Do you want to know that your senior family members are enjoying a high quality of life when they can no longer remain safe or comfortable in their own home? We understand that most people would rather stay in their own home, but the ageing process can often make that impossible. For that reason, our nursing homes in Australia are designed to feel like a home away from home rather than a monitored hospital environment, ensuring all our residents can make the most of their golden years without having to sacrifice comfort. Here at Homestyle, we aim to provide nothing less than the very best level of care to our aged citizens, who deserve to be treated with the utmost respect while having access to well appointed facilities, home comforts, family visits and a broad range of activities. From gardening to physiotherapy, we have everything your family member needs to remain engaged, and we only employ compassionate, genuinely caring and highly qualified nursing home professionals who will do everything within their power to cater to your relative’s every requirement. 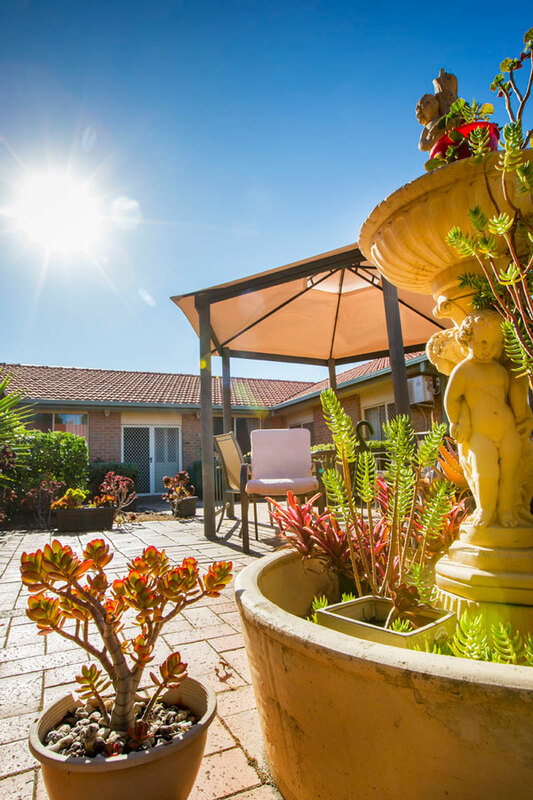 When staying at a Homestyle nursing home in Melbourne, your relative will benefit from 24-hour, holistic care, a relaxing and sociable environment, plenty of stimulating activities and much more. We have the skills and desire to help our senior citizens feel satisfied with their daily lives, and thanks to having a team of highly trained professionals, we are able to provide excellent care for our residents with a range of medical conditions including dementia. Each single room features an en-suite bathroom, which is installed with a range of safety features to maximise accessibility, ensuring your loved one can enjoy the right to privacy. Elegantly decorated to feel like a true home, our rooms are comfortable, well-maintained and most are air-conditioned. We’re also more than happy for our residents to personalise their space with their own items. Our superb catering staff can rustle up nourishing, delicious meals according to each residents preferences. Plus, we offer physiotherapy along with a range of other activities providing a boost to both the mental and physical health of our residents. 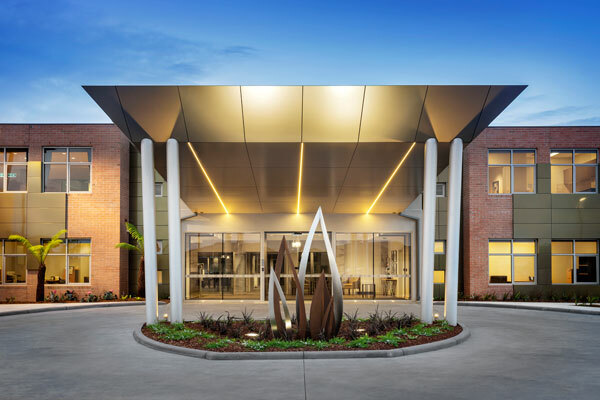 You can feel confident that our tailored lifestyle programs ensure that our residents are engaged and socially active which is why we’re among the most highly recommended aged care homes in the Melbourne and Geelong area. This property provides a home to over 100 residents and offers plenty of spirit and variety. 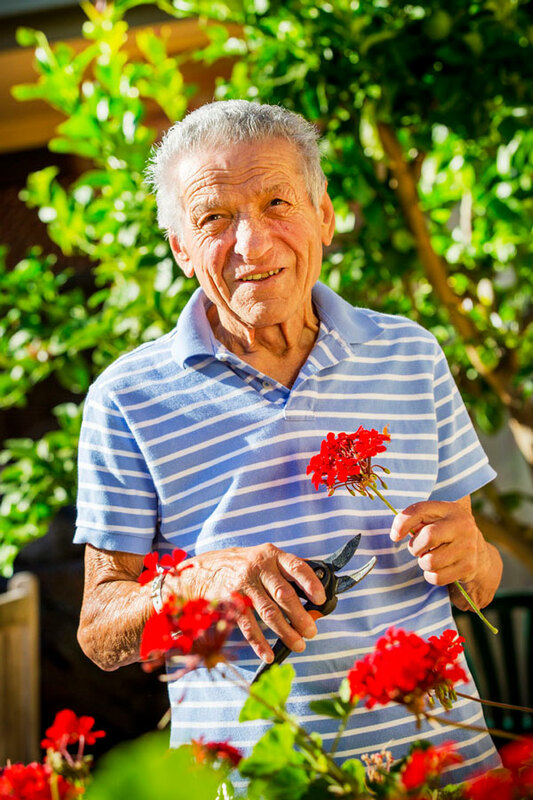 Our residents enjoy spending time tending to beautiful gardens, and the home itself is respected in the local community for its exceptional level of care and support. Each room in this beautiful property overlooks inspiring gardens and peaceful courtyards that are filled with water features. You can come and enjoy a delicious barbeque with your family member under the shade of our stylish gazebos. Featuring comfortable accommodation for over 60 residents with a luxury extension just completed, Melville Grange boasts beautiful outdoor spaces and a strong sense of community spirit. This home is ideally placed with easy access to public transport. In addition to the homes mentioned above, we also have properties in Grovedale, Epping, Leopold, Cranbourne, Bayswater, Point Cook and Ocean Grove. 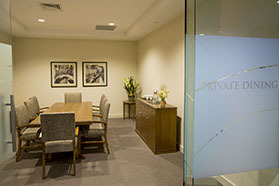 If you’d like to tour any of our highly recommended nursing homes in Melbourne, then please get in touch. Our homes welcome visitors 24 7 giving you flexibility in today’s busy lifestyles. You can join your loved one in their room, out in the beautiful courtyards or even our private dining and recreation areas. All are available as part of our general offering at no additional cost. Our stylish rooms provide the perfect setting to catch up, tell stories, share jokes and just see how your loved one is getting on. You’ll also be able to meet all the residents with whom your family member will undoubtedly make a strong connection with. We want you to know that we’re doing everything we can to maximise quality of life for our residents, which is why we hold frequent meetings for you to voice your concerns, offer feedback and get to know the wonderful employees that are caring for your loved one. Our job is to make sure that those who’ve already contributed so much to our society don’t get left behind when they reach their senior years. 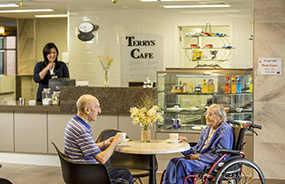 We believe our residents should maintain their independence and dignity in aged care – we know that they’re strong, accomplished and unique individuals that deserve our undivided attention and care as well as some friendly faces to keep them company. If you want to enquire about the skills of our professionals, the facilities of our care homes or our vacancies, then we encourage you to contact us on (03) 9559 0400. We’ll be delighted to provide more details over the phone or arrange a tour of one of our nursing homes in Melbourne at a time that suits you.